What exactly is Personal Liability Insurance? Say your son and a neighbor’s child are playing baseball in your yard. Your son throws a pitch that hits the other child in the face, breaking her nose. The medical costs, should her parents seek them, could be paid through the personal liability within your homeowners policy. And if your neighbor decides to sue you for additional damages, it may also cover the cost to defend your case, and any judgment that must be paid out. Policies differ, however, in what they cover. The typical homeowners policy limits liability to $100,000. For many people this isn’t enough. What happens if your neighbor is awarded an amount in excess of your limit? You will have to pay out-of-pocket. Fortunately, there is a way to purchase additional personal liability, commonly referred to as an Umbrella Policy. More on that later. Dog Bites: Regulations vary by state, and Arizona has very strict dog liability laws. If your dog bites someone, either on your property, someone else’s property, or in a public location, you are liable for the damages suffered by the victim. In addition to medical treatment, victims can also claim other damages, such as inability to work and permanent nerve or soft-tissue damage. Slips, Trips and Falls: If a visitor is injured while in your home or yard, you can be held liable. Common reasons for injuries include slipping on icy surfaces, tripping over unsecured carpets or other obstacles, and falls caused by poorly marked steps or faulty railings. Even uninvited visitors (door-to-door salesmen for example) can hold you liable for injuries. Underage parties: You may think you are doing a good thing by allowing your teen or young college student to host “safe drinking” parties in your home. Think again. It’s a Class1 misdemeanor to allow underage drinking, even if you didn’t provide the alcohol. And if someone is injured, either at the party or after leaving, you can also be held liable for any damages. Trampolines: Trampoline injuries send as many as 92,000 people to the E.R. each year, according to Parents Magazine. If someone is injured on your trampoline, you can be held liable, and your insurance may not cover it. Some homeowners policies specifically exclude trampolines. If you own a trampoline or are considering buying one, check with your insurance agent to make sure you have adequate coverage. Swimming pools: Like trampolines, swimming pools are classed as an “attractive nuisance.” If you have a pool, make sure you are following all local codes regarding fencing and enclosures, and consider raising your liability limits to $500,000 or more. Defamation: Beware of what you—and especially your children—are putting out on social media. Negative comments can be considered libel. If you are sued, the claim may be covered by your homeowners policy, up to your limits. Injuries to domestic workers: If you employ a housekeeper, nanny, landscaper or other worker, you have an increased need for liability coverage. It’s important to know if domestic employees carry their own insurance. In some cases, you might also be required to provide workers’ compensation insurance. Check with your agent regarding local requirements. Falling trees and limbs: If a large branch from one of your trees falls through your neighbor’s roof, can you be held liable? It depends on many factors, but if the tree was in need of maintenance, the answer is probably yes. These are just a few of the many things that can trigger a personal liability payout on your homeowners insurance. The good news? 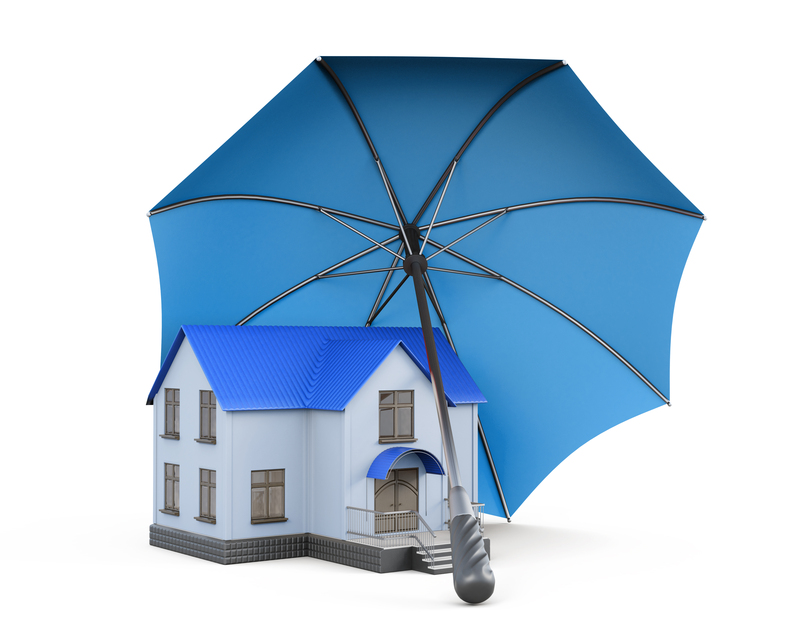 There is another way to protect yourself and your family’s assets: it’s called an umbrella. 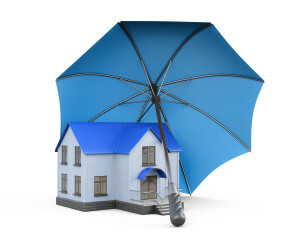 A personal umbrella liability policy provides an extra layer of insurance coverage over your standard homeowners policy. So if that baseball not only broke the neighbor girl’s nose, but sidetracked her burgeoning modeling career, your umbrella policy would cover the additional damages. “Everyone should consider an umbrella policy,” says Binsfeld. “Especially people who operate businesses or have frequent visitors to their homes.” Other things that put you at higher risk include having a teen driver, entertaining frequently, and living in an affluent area. Umbrella policies start at $1 million, and can go as high as $10 million. The costs vary, but are relatively inexpensive compared to the added coverage you gain. To watch a short video from Travelers Insurance about liability coverage , click here. For more information, contact you GSW agent to discuss your unique needs and learn about our liability insurance solutions.